Over on Kansas Cyclist, I posted some words and images about the 2017 Kandango Tour. This is the third year I’ve done this supported 4-day/3-night tour of the Flint Hills. Always a wonderful place to ride. I rode my Nashbar Gravel Bike, and it did fine. 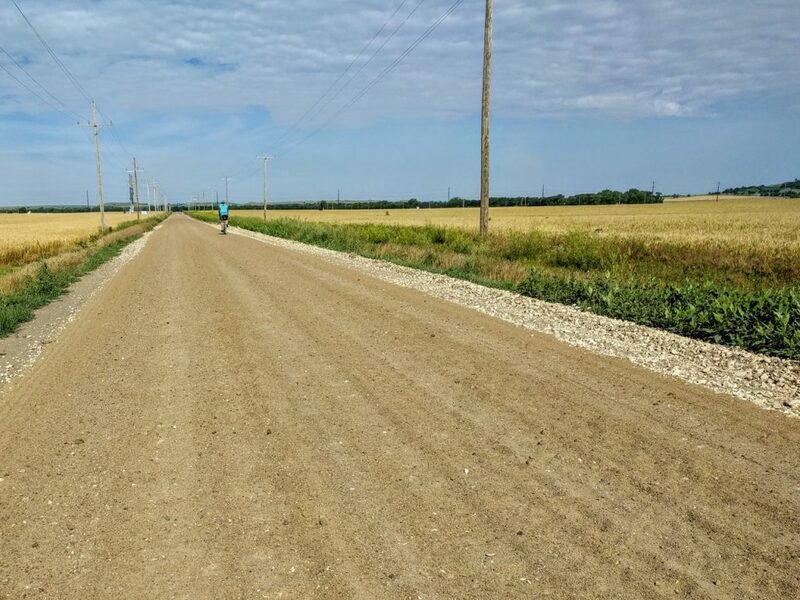 Kandango was offering some gravel routes this year, but I stuck to the pavement with my friend Lori, though we did get a bit of gravel road riding on the pre-tour trip. 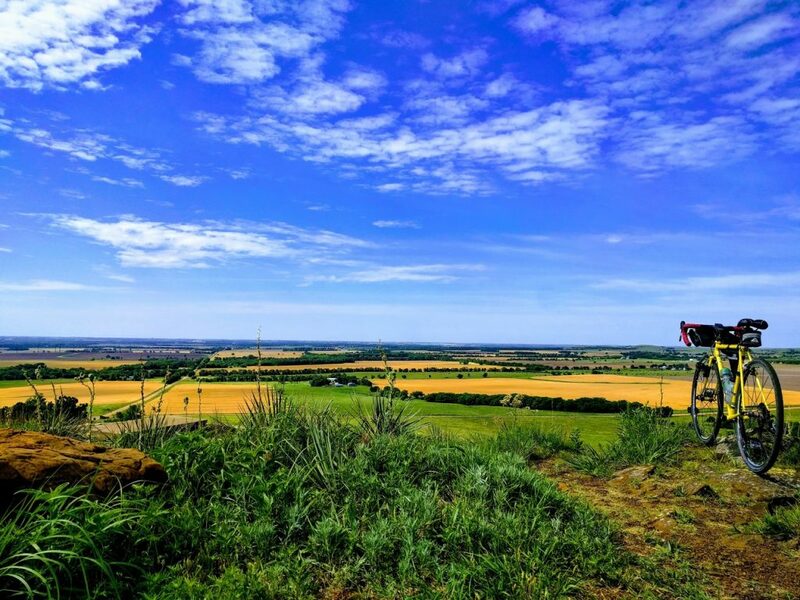 It was taken atop Coronado Heights, an overlook near Lindsborg, where you can see a great distance in all directions. It’s an amazing place on the plains!